COMMERCIAL ROOFING SERVICES IN TULSA. Unpredictable severe weather conditions in Tulsa are a fact of life and can leave roof damage from excessive heat, wind, rain, hail, ice, sleet and snow. Immediate attention is needed if your commercial roof becomes compromised. When you notice wet places, spots that appear to have a stained look on your ceiling, or if you experience leaks contact A Plus Roofing and our commercial Tulsa roof repair specialists will come quickly and provide you with a FREE inspection and estimate of your commercial roof repair needs in Tulsa OK. Detecting problems early will lessen the damage and Tulsa roof repair cost to you. The quicker you address the situation, the less chance of having to do a full commercial roof replacement, down time for your business, and damage to your building and contents. We recommend a minimum of one annual inspection of your roof for normal wear and tear and inspections after storms or bad weather, and it's always a good idea after a storm to inspect all exterior areas of your commercial building. We will check for water leaks and damage from the elements. This will help secure your building and add to the safety and security of your employees. We know your business is your lifeblood and that of your employees. We are here to help protect your building and business. If you need Tulsa roof repair, use our local company to repair and or service your commercial roof. We live and work in the area, and like you depend on satisfied customers and our good reputation to stay in business. We appreciate your trust in us to keep you dry and in business. 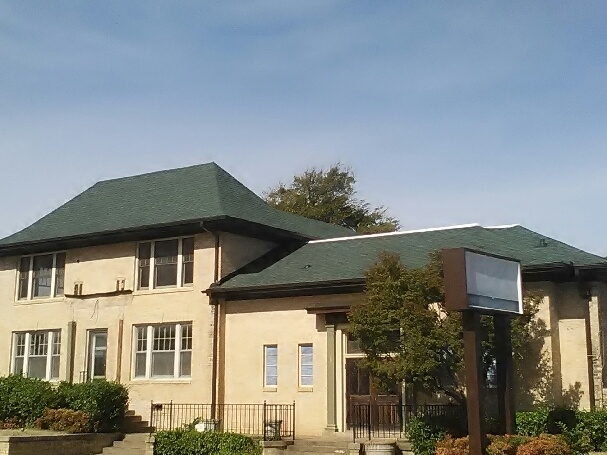 When you need a roofing company to perform roof repair Tulsa OK Metro or install a complete new roof, our knowledgeable and professional staff can help you. Call today (918-927-2677) to schedule a FREE residential or commercial roof inspection and Tulsa roof repair estimate, or CLICK HERE to request contact from one of our professional staff.